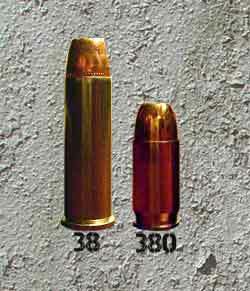 In the world of firearms, ammunition comes in several calibers (e.g. 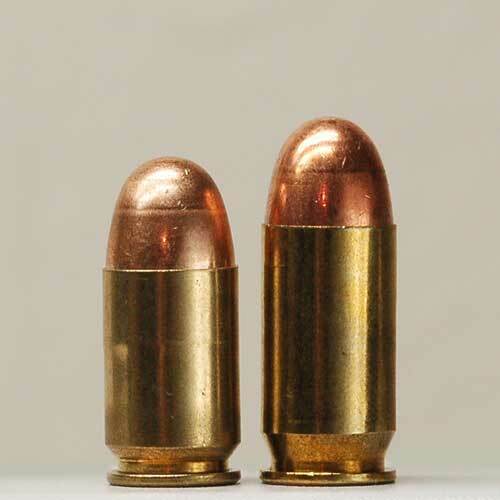 .22, .357, 7.62 mm, 9 mm, .45 etc.). However, when purchasing ammunition, one must be careful to specify the exact type of ammunition. We will see the reason why in this post. 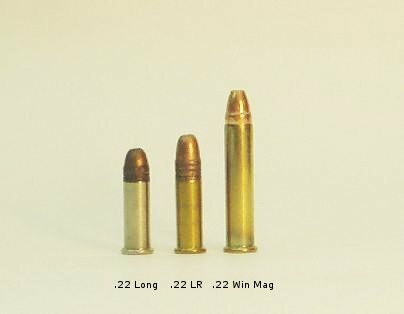 Back when we studied rimfire cartridges, we noted that there are several cartridges in .22 caliber, such as .22 Short, .22 Long and .22 Long Rifle (i.e. .22LR). Besides these three, there are other cartridges too, such as .22 Remington Jet, .22 Reed Express, .22 CB etc. Most of these, except the last one have .223 inch diameter bullets, but the length of the cartridges and the bullets differ. Therefore, if a firearm takes (say) .22 Long cartridges, the user will never be able to fit a .22 LR cartridge into the chamber. 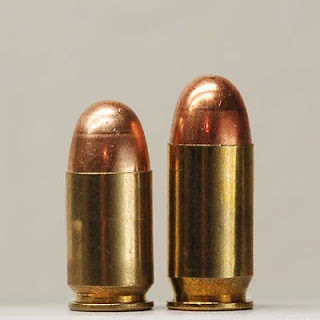 Not only are the lengths and cartridge profiles dramatically different, the two bullets are also slightly different diameters as well: .38 special has a .357 inch diameter bullet, whereas .380 has a .355 inch diameter bullet. Similarly, when referring to .45 caliber ammunition, it should be specified if the user wants .45 ACP, .45 GAP, .45 Webley etc. As before, all of these have dramatically different cartridge shapes and bullet weights. As before, the reader may observe the difference in the sizes and shapes of the cartridges. Incidentally, ACP stands for Automatic Colt Pistol and GAP stands for Glock Automatic Pistol, the names of the manufacturers whose products these cartridges were originally designed for. Finally, we have many cartridges in 7.62 mm: 7.62x25 mm. Tokarev, 7.62x51 mm. NATO, 7.62x39 mm. Soviet, 7.62x54 mmR etc. The two most famous ones are the 7.62 NATO (i.e. 7.62x51 mm. used by FN-FAL, M14, Heckler & Koch G3 etc.) and the 7.62 Soviet (i.e. 7.62x39 mm. used by the AK-47, AKM and Type 56 rifles). As the reader may note, it is pretty easy to tell that the two cartridges are drastically different. The same thing applies to many other calibers as well. So, the buyer must note the exact cartridge type when purchasing new ammunition. As amazing as it may seem, quite a few people are not aware of the differences between the cartridges or that the other cartridges exist. There have been several instances where a buyer has walked into a local firearm store and asked for .38 cartridges and ended up walking out with either .38 S&W or .38 Special, when they really wanted .380 cartridges, or asked for .22 Long when they really wanted .22 Long Rifle etc. It is a source of frustration to both the buyer as well as the owner of the firearms shop. Therefore, it is very important to note down the exact type of cartridge that a firearm accepts.